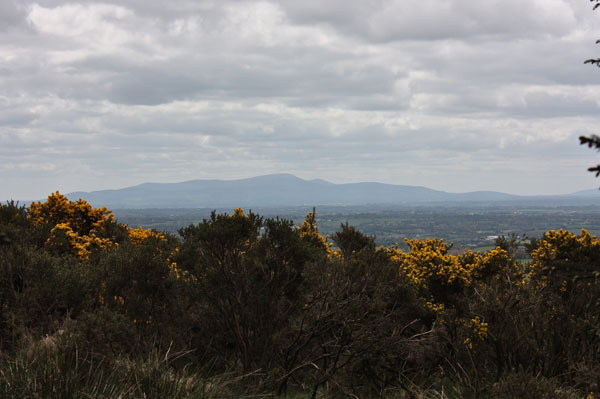 Picture from csd : The view over to Mount Leinster from near the summit of Tinoran Hill. Picture: The view over to Mount Leinster from near the summit of Tinoran Hill. While a dose of felling would certainly improve the views from Tinoran, I believe there are worse summits than this sylvan peak. As well as the lapine population (which was still very much in evidence), the local bird population also appears to be large and diverse, and a nice vista over to Mt Leinster is possible if you look for it.